Monthly energy bills that are through the roof can be frustrating and expensive. It’s time to conserve energy and save money with an electric radiator. With chilly winter temperatures in the United Kingdom, it’s important to have good heating options for your home. Of course, keeping your home warm isn’t cheap. Estimates indicate that the average UK household spends £1,344 a year on heating. Luckily, if you are looking for ways to cut back your heating expenses, there are options available. An electric radiator is a great, efficient option for homeowners who want to heat their homes without breaking the bank. 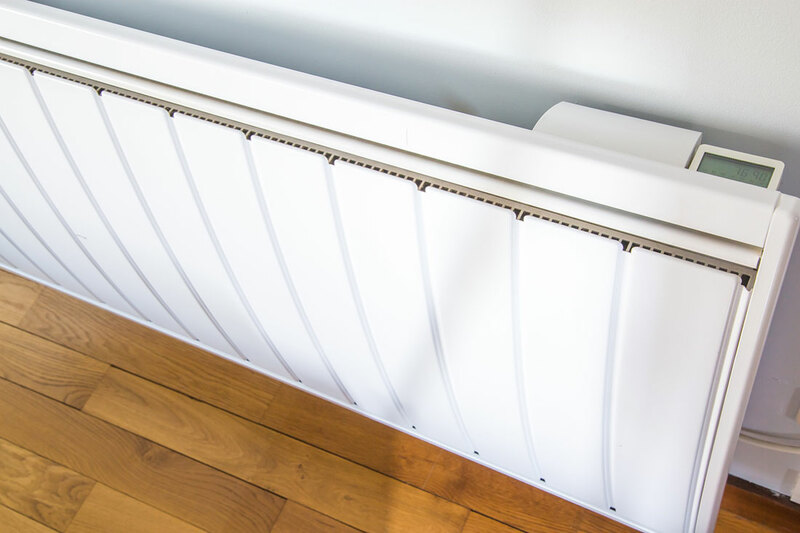 Let’s take a closer look at how an electric radiator can save you money this winter. First, let’s look at how an electric radiator works, and how it’s different than other heating options. This will make it easier to appreciate the potential cost-saving features. The way a radiator works is fairly straightforward. Electricity heats the surface of the radiator, which releases heat into the air through convection and radiation. Over time, the heat will spread through the room and make the entire room the same temperature. By contrast, forced air and central heaters typically work by using fuel to blow hot air into your home. This heating option uses a system of ducts to blow warm air throughout the entire home. Also, they tend to have a centralized boiler or furnace that generates the heat for the home. 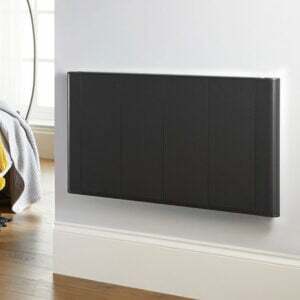 Now that we’ve seen how an electric radiator works, let’s look at the features that make radiators more cost-efficient. One of the best features of a radiator is its efficiency. This is because radiators can be programmed to run only at certain times of the day, or only in certain rooms. You can preset the radiator to run at the times of day where it is needed most. With some systems, you can even control your radiator from your mobile device. This way, you can make sure that your heat is not running when no one is home. For instance, if you own a large home that you don’t always use all of the rooms in, you do not need to turn on the radiator in the unused rooms. Or, you can leave the radiator off in your bedroom during the day, and simply turn it on a few hours before bed. With central heating, your system will always heat the entire house whenever the heat is on. Central can also be inconvenient if you have one section of the house that is hard to heat than others, or if some family members like a certain room warmer. 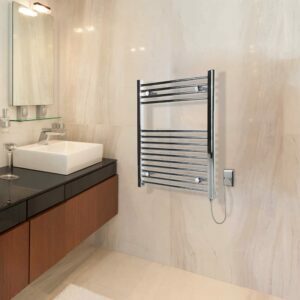 With electric radiators, you can customize the settings for each room. With central heat, each room must be set to the same temperature. For instance, many people prefer to keep their bedrooms colder than their living rooms. If you have central heat, you only option is to turn off the heat before you go to bed. If you have a radiator, you can set it to a lower setting to keep your bedroom cooler. Also, keep in mind that central heat requires running a centralized furnace or boiler. This can be extremely inefficient if you just need to heat a single room. Since a radiator works by convection and radiation, ambient heat will continue to heat your home after you turn the radiator off. Additionally, the radiator will stay hot for a few hours after you turn off the power source, and will continue to distribute heat. By contrast, central heat only works when the system is running. As soon as you turn off the forced air, the room will immediately start getting cold again. This means that you need to run the heat constantly to keep your home warm. Another benefit of heating by convection is improved heat distribution. Once the radiator is on for a few hours, the entire room will be at the same temperature with few cold spots. By contrast, forced air tends to heat the areas closest to the vents the most, and can leave other parts of the house feeling draft. Knowing the dangers of using non-renewable resources like fossil fuels, many homeowners are attempting to get away from using fuel to heat their homes. 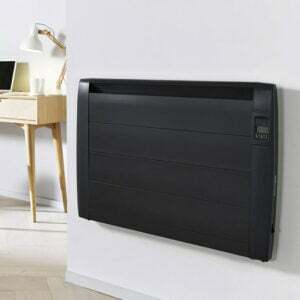 Since electric radiators run on just electricity, you will not need an additional energy source. This is an especially good option for homeowners who generate their own electricity with solar panels or wind generators. This way, you can transition to a fully green home setup. If you have an older home without central heating ducts, putting in a forced air system can be extremely expensive. In most cases, putting in this kind of system will require professional installation. In some home, you will need to get a special permit to install central heat. Luckily, radiators require almost no installation or technical knowledge. This is because a radiator can be installed anywhere where a plug socket is available. Due to greater demand to run electricity during the day, consumers in the UK can get access to lower costs per kilowatt hour at night. With a radiator, you will actually be able to take advantage of these costs. This is because running a radiator at night can actually generate enough heat to keep your home warm during the day. 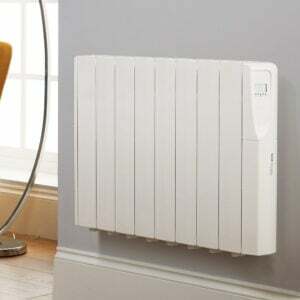 Additionally, some radiators include smart features that turn off the power supply when no one is detected in the room. This will minimize costs spent on running the radiator. With these benefits in mind, it’s easy to see why an electric radiator is a great way to save on your heating bill. 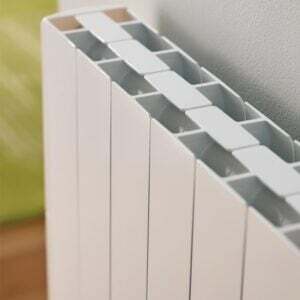 Radiators are more efficient, provide more flexibility, and can even be more environmentally friendly than other heating options. If you would like to get started on making the switch, contact us. We’ll work with you to get the perfect heater installed in your home.